A fine split chain with, at its center, a delicate, flying raven in black pewter is a lovely piece you will wear every day. The darkened quietude of sorrow softly intoned by the sure but slight presence of a raven on the wing. 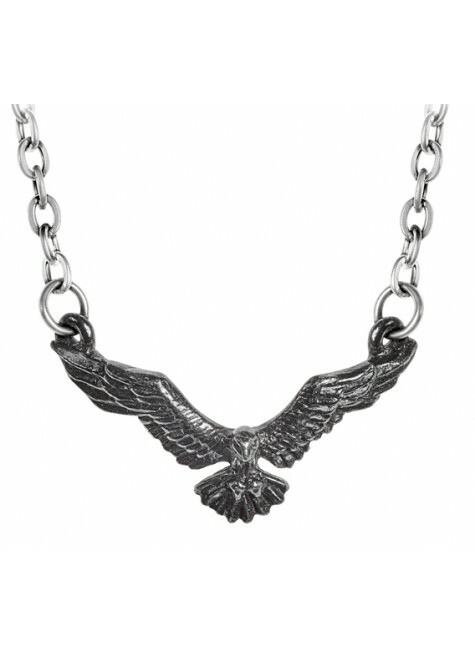 A small but perfectly formed raven icon perfect for day wear! 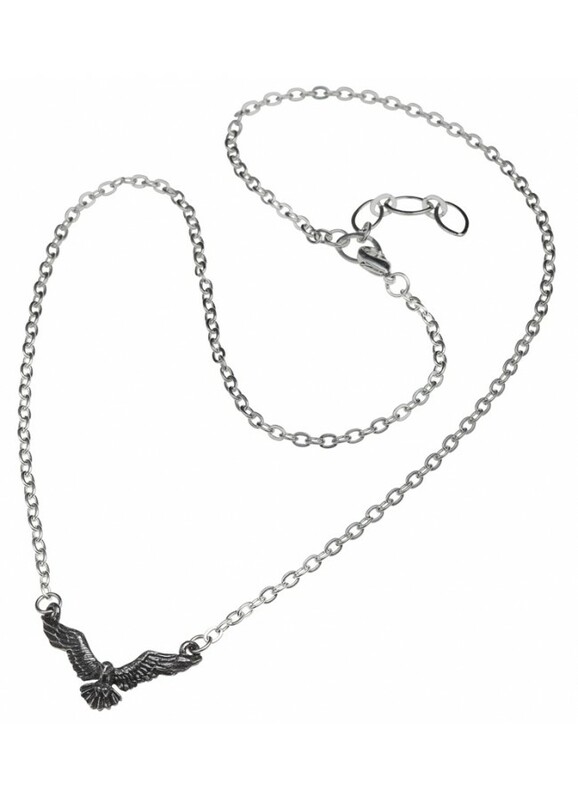 Necklace is about 1.06 x .63 inches in fine pewter on a silvertone 18 inch chain. Item Number: AG-P876 | Approximate Size (Inches): 1.06 wide x 0.20 deep x 0.63 high | Approximate Shipping Weight: 0.25 lbs. A harbinger of doom and destruction on the battlefields of yore, and an amb..
Hard cover journal is printed in full color and measures 5 7/8 x 8 1/4 x 3/..